With its large Irish population the public in a St. Croix Valley was naturally absorbed by the events in Ireland in 1922. The War of Irish Independence which ended in 1919 had led to negotiations between Irish leaders and the British resulting in a treaty establishing the Irish Free State, a self- governing dominion of the British Empire. The six northern provinces of Ireland with largely Protestant populations were allowed to opt out of the agreement, which they did and the Irish governing body in Dublin approved the treaty for the rest of Ireland in 1921 by a narrow margin. Many in the Irish Republican Army objected to the treaty however and armed resistance broke out throughout Ireland which turned former friends and allies against one in a bitter and divisive civil war. It is said more were killed during the 1922 civil war than during the longer war of independence. 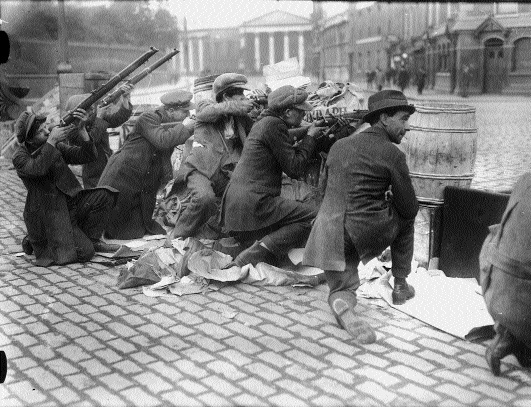 The photo above shows anti-treaty Catholics fighting pro-treaty Catholics in Dublin in 1922. The war was marked by many atrocities including assassinations and executions of captured prisoners. In one notorious incident the Irish government forces executed a top IRA man Rory O’Conner, seen above, and 3 other anti-treaty activists after the assassination of a British Field Marshall and several pro-treaty governmental officials. All four had been in jail since the beginning of the civil war and had had nothing to do with the assassinations which were carried out by another rebel faction. However the divisions had become so bitter that Kevin O’Higgins, the Irish Government’s Minister of Justice, ordered O’Conner and the others shot as a reprisal. Until the Civil War O’Conner and O’Higgins had been fast friends and comrades in the struggle for independence, O’Conner even toasted O’Higgins at his wedding party. The divisions in Irish society lasted for decades after the war ended in victory for the pro-treaty forces and the problem of Northern Ireland persists to this day. 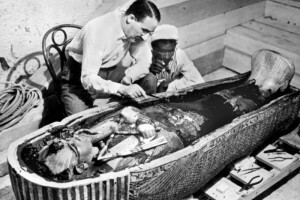 The significance of many of the events in 1922 was not realized at the time but became apparent only later during the tumultuous 1930’s and 40’s. 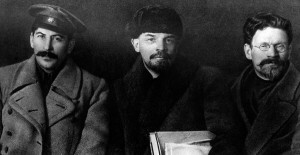 The photo above shows Joseph Stalin on the left, Lenin center and Mikhail Kalinin on the right. In 1922 Lenin retained nearly full control of the Communist Party of Russia and named Stalin to be General Secretary of the party. As the word “secretary” implies this was largely an administrative position, not one with a great deal of executive power. Unfortunately Lenin suffered a stroke soon after making the appointment and Stalin outmaneuvered his rivals to gain control of the party. In Italy Mussolini took control of the government. In Germany Hitler, his reputation enhanced with disaffected Germans by inciting Nazi comrades to beat a pro government speaker nearly to death, spoke to 50000 in Munich. For the first time Hitler’s name appeared in the press in the United States, the New York Times identifying him as a new force in German politics. The stage was being set for World War 2. Harold Carver discovered King Tut’s grave in Egypt in 1922 and James Joyce’s Ulysses was published in France as no publisher in the English speaking world would touch the book which even today is understood only by the select few who spend a lifetime pondering its convolutions. In the United States the Secretary of the Interior in Warren Harding’s administration took a sackful of money to lease Teapot Dome, the Naval Oil Reserve to a friendly oilman and the scandal eventually unraveled the Harding administration. Harding is generally considered our second worst President, only bested by James Buchanan but even without Teapot Dome Harding would have ended up in the bottom five. 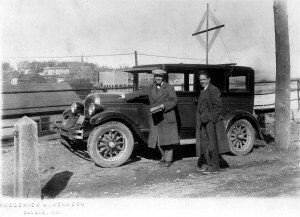 Albert Fall, the Secretary of Interior, may have been influence by the geological survey of 1922 which found the oil supply in the U.S. would be depleted in 20 years. In other news the Supreme Court found the 19thAmendment which gave women the right to vote to be constitutional and the Lincoln Memorial was dedicated. In sports construction began on Yankee Stadium and the Yankees played the Giants in the World Series which the Giants won 4-0-1. Indeed there was a tie game which was cancelled because of darkness when, most agreed, there was plenty of light to finish the game. Turns out the motive was probably to increase gate receipts for a series which seemed in danger of ending in four games. The other oddity of the series was that both the Yankees and Giants played their home games in the Polo Grounds so all 5 games were played there, the teams alternating as the home team. New York also made the news in 1922 by mandating that all pool halls be renamed billiard halls and a fellow named Charlie Osborne was injured when a 350 pound pig fell on him causing him to develop a case of hiccups which lasted 68 years at an average hiccup rate of 30 per minute, until June 5th, 1990. Within a few months of the hiccups stopping without explanation Charlie died. The really big news locally, other than the Canadians finally throwing in the towel and agreeing to drive on the right hand side of the road, was radio. 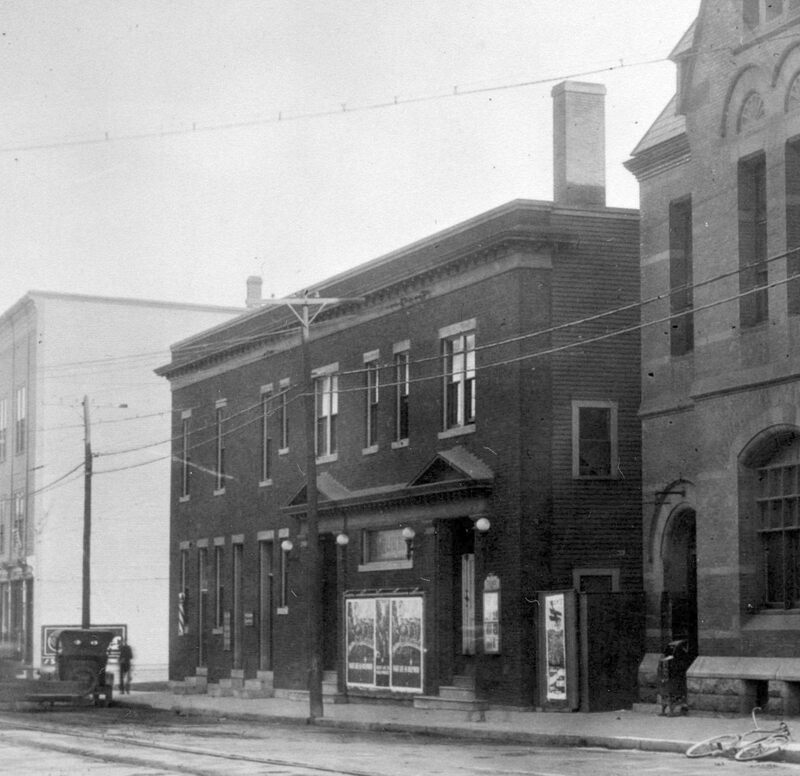 In the photo above, which is not 1922 but a few years later, a couple of locals are doing something with a directional antennae on Union Street-Hog Alley. We’re not sure what, perhaps trying to pick up a decent blues station. The St Stephen waterfront is in the background. Radio first came to the St Croix Valley and most of the country in 1922 and it would be hard to underestimate the impact it had on all aspects of life. 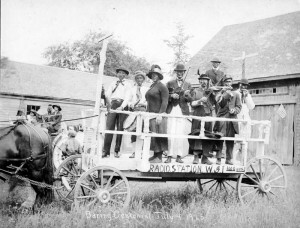 Reception was lousy of course and in the beginning there were few stations with enough power to reach the St Croix Valley but even in 1922 Houlton had station within range and in 1923 Bangor’s first station began broadcasting. On a good night a local could listen to music and news from Boston. Locals would have been listening to Al Jolson’s April Showers and Toot Toot Tootsie Goodbye on this miraculous new invention. A 1922 article in “The Radio Dealer” describe a station in Jersey City which boasted that in the winter of 1922 its programs were heard “at Memphis, Owensboro Kentucky, Toronto, Calais, Maine and the Cunard S.S. Caronia 450 miles outside New York harbor.” Almost immediately radio revolutionized the way we communicated with one another, entertained ourselves and marketed products. 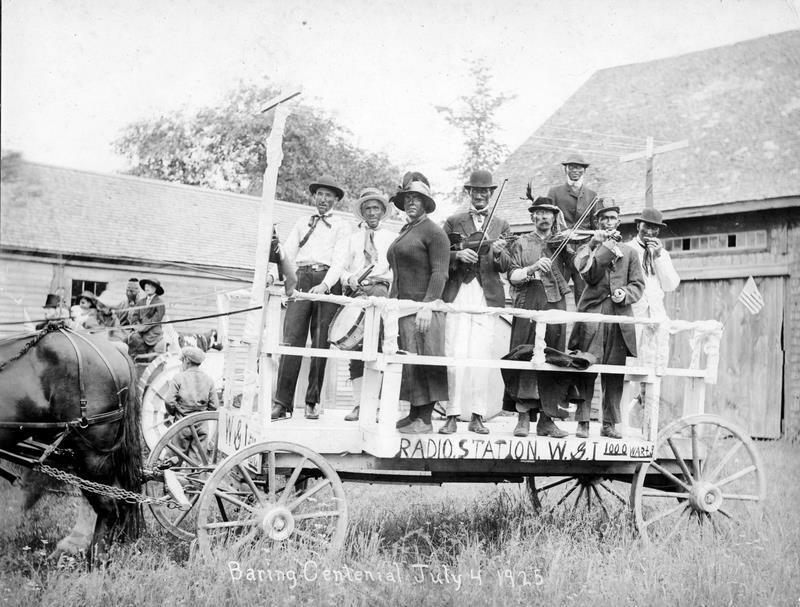 We not sure of the very early history of radio here in the valley but this 1925 float in the Baring Centennial parade seems to be promoting radio station WGI– broadcasting with 1000 watts. We’ll admit this is almost certainly a spoof. In St Stephen the new Queen Theatre opened on Water Street in September 1922. Under the headline “CROWDS THRONG TO NEW THEATRE” the Courier reported “Crowds have thronged the splendid house and delight has filled them all. The New Queen Theatre has had an auspicious opening and is well on its way to successfully catering to the amusement seeking population of the St. Croix Valley. The paper reported that crowds filled Water Street before the opening hoping to get a seat. In 1922 the Bug Death factory next to the axe factory on Dennis Stream was taken over by the Mann Axe and Tool Company. Many will remember the Axe Factory which was at the end of Prince William Street. The original Douglas Axe factory was built on this site in 1866 and was a successful business and employer in St Stephen for many decades. In 1922 the business was prospering and Bug Death had recently closed so Mann expanded into the adjacent building. All went well until the Great Depression. The factory held on until 1943 when it closed. Bug Death sounds more lethal than it really was. The business manufactured an fairly benign insecticide for use in potato fields. The company also had an experimental potato farm off Prince William Street on what is now Abbott Street. They claimed use of the product increased yields by 25%. 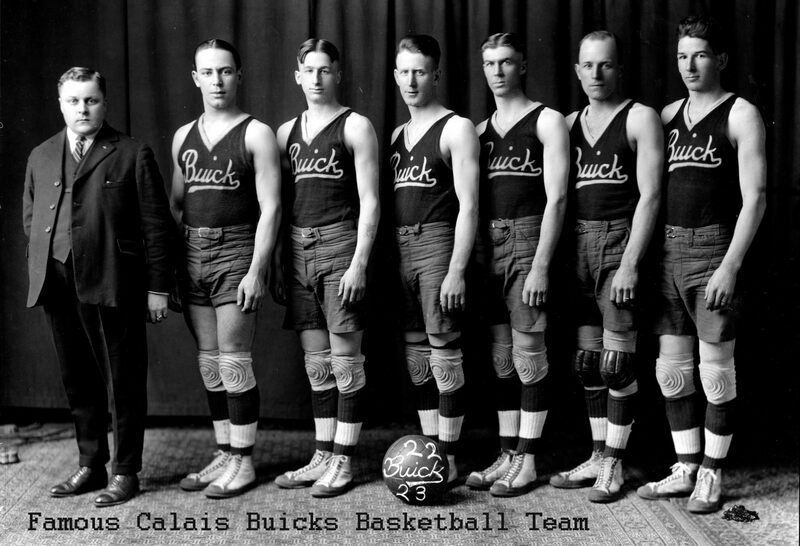 As it is almost tourney time we’ll leave you with a photo of the 1922-23 Buicks basketball team, reputed to be the best basketball team ever taking the floor for Calais. In those days there were what we would call semipro teams and the Buickswere one best in the State. 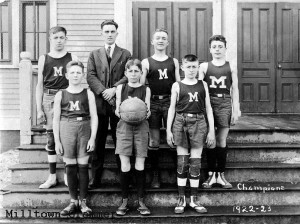 They went undefeated in the 1922-23 season, beating teams from Bangor, Belfast, Houlton, Woodstock, Orono and Ellsworth. The team included Albert Jensen, Bud Silva, Ray Foley, Philip Dresser, Burnham Stanley and Emmon Ivery. The manager was Jack Woodman who also served several terms as mayor of Calais. Albert Jensen went on to become the Chief of Police. 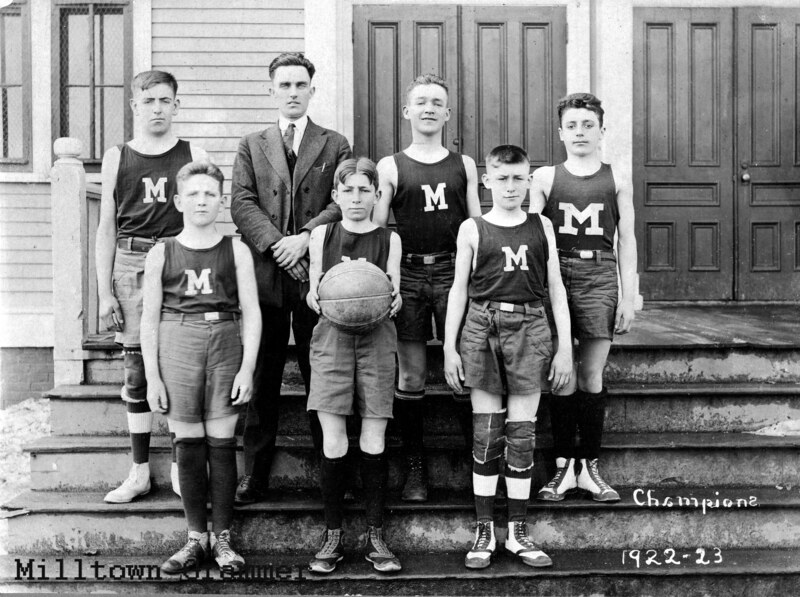 We almost forgot – we had another championship team that year,the Milltown Grammar School.